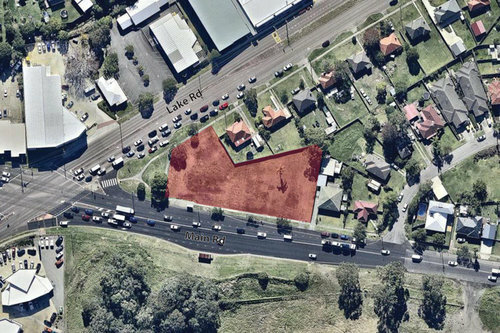 The Pacific Gateway development in The Lake Macquarie LGA, will be aligned with the Communities Plus model of housing, which involves the integration of private, social and affordable housing. Opportunity for social housing tenants to progress on the housing continuum and transition from social to affordable tenancy without the disruption of relocation to another area as envisioned in Government’s Social Housing policy – Future Directions. Applying the Community housing sector’s experience of managing mixed tenure developments. 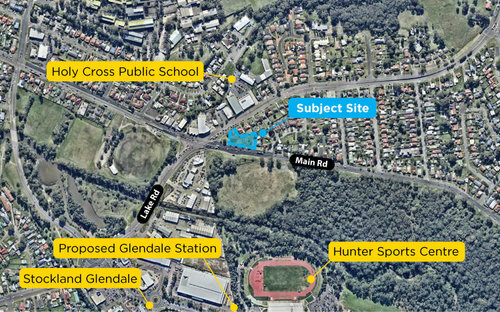 The Glendale project will provide good quality and stable housing to social housing tenants and to those tenants eligible for the affordable housing scheme. This project through design, location and availability has the possibility of providing many positive outcomes for residents. The key positive outcomes linked to the quality, stable and affordable housing that the Pacific Gateway project will provide has the possibility to enhance Health, Education, Safety, Empowerment, Social and Community and Economic factors for all residents. A brief outline of each beneficial outcome is provided below. Health– good quality housing is linked to improved health outcomes. Poor physical health is related to poor living conditions and housing stress can increase the risk of depression and mental illness. By providing housing in quality neighbourhood promotes a healthy lifestyle and improves health outcomes. Social and community– good quality housing promotes more social activities in the home and community. Housing stability provides grounding for people to participate in community activities through volunteering, participation in local clubs and groups and involvement in decision making. Thus increasing social and community outcomes. Empowerment– By providing quality and stable housing there is the opportunity for the tenant having a sense of empowerment leading to confidence and motivation to take steps to make changes in their lives and achieve improved outcomes. Empowerment is essential to achieving outcomes in the domains of economic, health and education and has a flow on effect on other domains. Empowerment enables individuals to identify and take advantage of the opportunities presented to them. Economic– the links between economic outcomes and employment are indirect and depend on other factors such as education and training. By supplying quality and stable housing it can lessen some of the barriers, for example mental and physical health or access to public transport that could prevent gaining employment. Increase economic participation of tenants. Class inequality has stigmatising effects on concentrated areas of low quality and low amenity households. By providing housing that is more diverse and socially balanced this stigma is removed. The Glendale project, through the ‘salt-and-pepper’ approach (a mix of tenant groups with varying affordability spread throughout the complex) has the potential to prevent socio-spatial segregation that develops in communities of high social concentration and deprivation. The ‘salt-and-pepper’ approach has many advantages in housing communities that in turn increase tenant outcomes particularly in Social Housing. It can reduce social exclusion and reduce areas of disadvantage, with the result that tenants feel more pride in their homes and their community. It has the potential to promote socially and economically integrated communities and allows residents to live more independently. This integrated approach can also assist in enabling people with mental health issues into a community they may have previously been excluded from. PLH has numerous informal referral arrangements providing wrap-around support for residents who need assistance in sustaining their tenancies and building community engagement that aims to increase self-reliance and independence. Our Housing team works closely with our Client Support Co-ordinators (CSCs) who are committed to, and qualified in, the provision of assistance to tenants with medical, health and welfare needs. PLH’s CSC team identifies our tenants’ support needs and works to strengthen partnerships, build our mutual understanding and, where needed, push agencies to raise their standards of service delivery. The CSCs work with tenants on a one-on-one basis to help them get the care and support services they need, co-ordinating delivery of services from other support agencies and ongoing monitoring. Our approach reflects best practice in the community housing sector, as recognised in a past case study published by the Registrar of Community Housing. Pacific Link will be providing opportunities to the Tenants of Pacific Gateway (as with all our tenants) to access our suite of award-winning, self-funded tenant programs providing training programs, education scholarships, employment schemes, learner driver lessons, interest-free loans for laptops, children’s sport and employment pathways. Our programs build tenants’ capacity and encourage improved educational and employment outcomes. We also run information forums and outings, regularly evaluate our programs and seek input and ideas from tenant focus groups to maintain our continual improvement. LAHC’s objectives under the Communities Plus plan include “seamlessly integrated community”, “sustainable outcomes for tenants”, “sustainable management of social housing dwellings” and “optimised value for money. With a capable delivery partner, within an acceptable level of risk”. Design solutions that maximise the landscaping of open communal areas. Forming strong partnerships with key stakeholders and partnering with homeless, youth and employment services providers – co-ordinating support service delivery and assisting in developing opportunities for the tenants. A suite of promotional projects to highlight the benefits of the project, not only to the tenants but to the wider, local community. In conclusion, the Glendale project will not only provide homes for 21 households, it will through design, location and amenities give 21 households stable, quality accommodation that will allow them to achieve a range of positive outcomes as highlighted in this brief. With a focus on diversity, the development will enable 21 households to live in a socially inclusive environment that is safe and is designed to encourage positive outcomes for all residents.